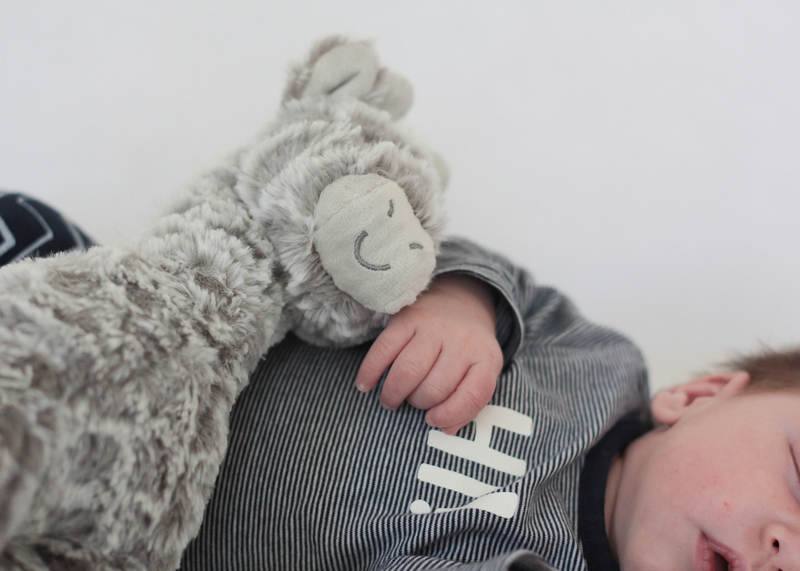 Otis Daniel is one month old today, and this is actually the first time I’ve mentioned him on the blog since I’ve taken a bit of a break over the last few months. I want to keep with the tradition and do monthly recaps of Otis, though. I hardly wrote about my pregnancy this time around, which is fine. I really love that I have a record of life with Eleanor over the first two years, though, and I want Otis to have that as well. Eventually I will get into a format of answering the same questions each month like I did with Eleanor, but considering it’s only the first month, I don’t have tons of “milestones” or “likes” and “dislikes” quite yet. This will be a bit of a rambling post. 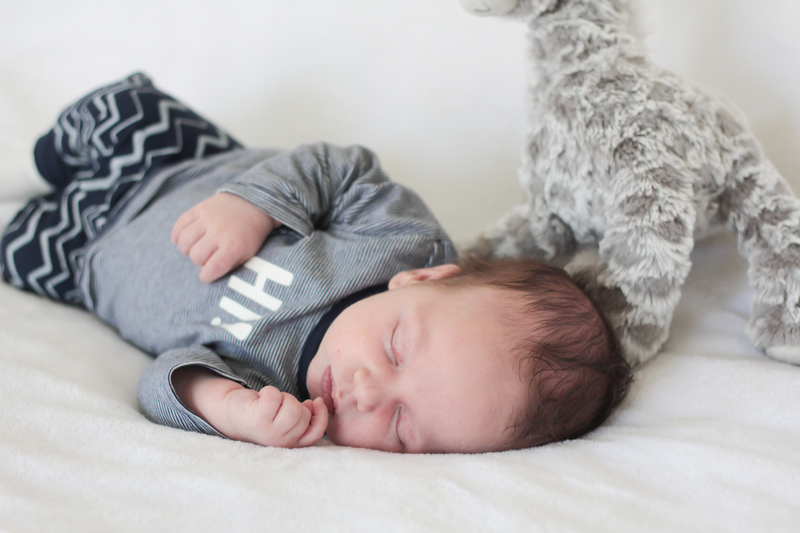 First things first – there will be a birth story. I’ve nearly finished it, and even though the birth was insanely short, the post is quite long. I am editing it a bit and adding a couple photos. Look for that soon. Everyone talks about how every child is their own person. It’s obviously so true, but when it comes to siblings, you often immediately comment or notice on how they may look similar. It takes time and getting to know them to notice the personality differences. We are still getting to know Otis’s personality, but as far as looks go, he’s definitely related to Eleanor! We have so many photos of the two of them as newborns in the same position, making the same face, wrapped in the same blanket, and it’s nuts the similarities. The biggest difference is that Otis is the chubbier version! He has the cutest, fullest cheeks and tiny, chubby rolls. They both had a lot of hair when they were born, but Otis’s is quite a bit thicker. Otis’s size was the first major thing (aside from the labor) that stood out as different – they didn’t stress out about how often he was eating like they did with Eleanor. “Every 4 hours is fine,” they said (even though he definitely has only made it that long a handful of times…the kid liiiiiikes to eat!). I have had to really push myself to get out of the mindset of constant (and stressful) feeding like I had with Eleanor. He weighs enough, and he definitely eats enough. My parents were here for the first three weeks of Otis’s life. His arrival ended up being perfect despite my impatience, and he arrived about 24 hours before they did. Robbie and Eleanor went to the train to pick them up, and Eleanor repeatedly looked at them over the next few days and simply said “on train!” in total amazement. It was wonderful having them here during this transition from one to two kids. They helped in so many ways but in particular, it was so good for Eleanor. She absolutely loved having them here, and she probably didn’t feel the change in attention as significantly as she would have had they not been here. That helped soften the transition for sure. When they left, we were a bit nervous about how we would go handling everything, but I think because I was feeling much better physically and emotionally, we transitioned ok. We are definitely still figuring it all out, though. Right now, we are working on getting Otis used to taking a nap or two without being held. He was pretty much held constantly for the first three weeks, so I am sure this may take a week or two to change. 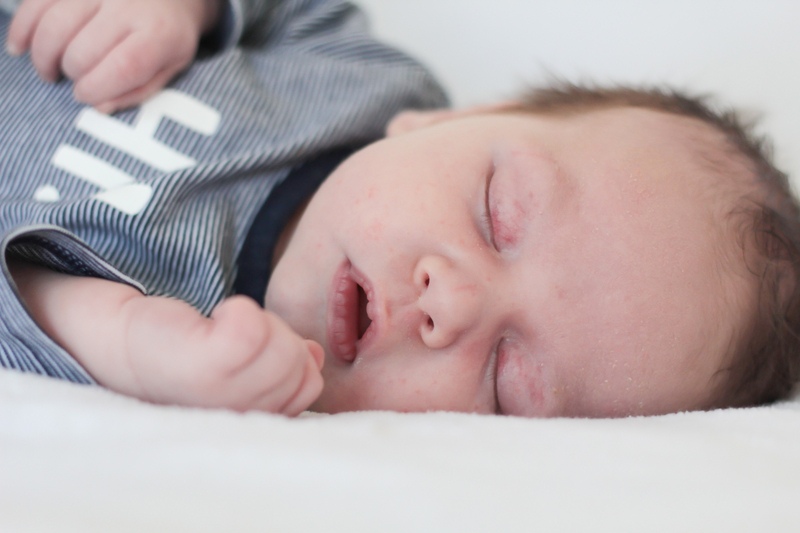 He’s doing so much better overnight sleeping in the bassinet, even if he is still waking several times. The other thing I am working hard on is making sure that he is getting a full feed each time rather than snacking. It’s all a learning curve again, but I am trying to remember things we learned with Eleanor along the way and implementing them before bad habits form. For me, I am trying to figure out how to continue giving Eleanor some solid attention when it’s just me at home during the day. Part of the challenge is Otis wanting to be held constantly, so hopefully as he grows and learns to interact more or settle on the floor mat, it will change. When Robbie is home, I am able to focus a bit more on her. Most mornings, we go next door to the warehouse, and she hangs out with her little friends. That’s an incredible privilege, and I will miss that when we move for sure. In the last few days, we have started to see a few social smiles from Otis. I am so excited for this. I feel like this is when it starts getting fun. 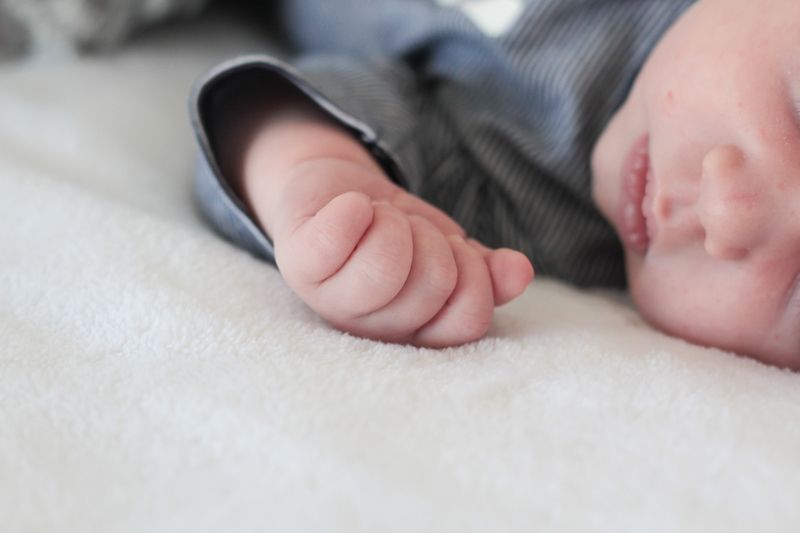 Baby snuggles are great, but smiles (and then giggles and coos and sitting up and crawling…) are amazing. I have loved watching Eleanor grow over the past two+ years, and I am so excited to get to know Otis in that way! A few other things about Otis… He spits up. That’s different considering Eleanor ate so slow that it was never an issue with her. In fact, I could probably count on one hand the amount of times she spit up in that first year. Otis is definitely not a slow eater! It’s different having a boy. I miss pretty bows, but I got the best head of hair of all the babies to make up for it! Having him in Spring here has also been nice, and I haven’t had too many times where I’ve had to worry about him being too cold. In fact, I am having to get used to making sure he’s not too hot. We have a 6-week checkup in two weeks, and I am looking forward to it for a number of reasons. I am so curious how much this kid weighs. 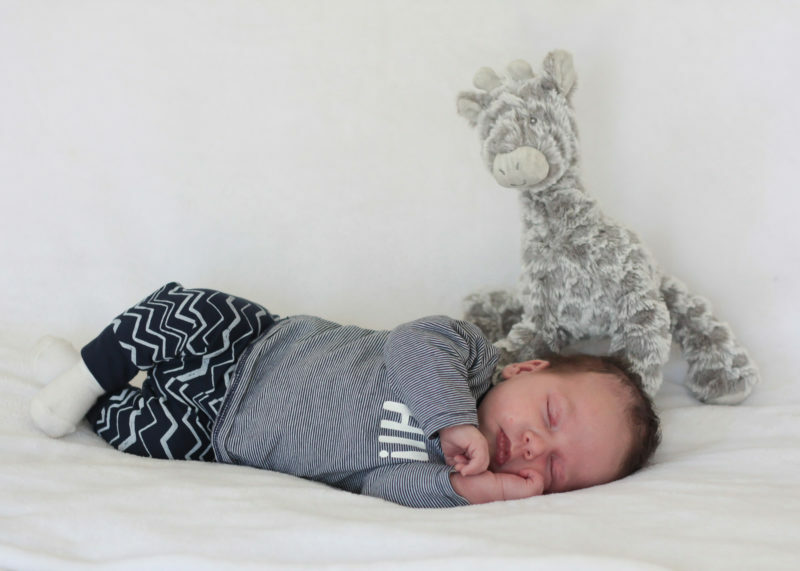 He’s already getting too big for some of his newborn clothes, which to put it into perspective – Eleanor was just starting to fit into newborn clothes at this point! I am also thrilled beyond belief to see our Dr, who is a good friend and mentor of mine. She has a habit of being out of the country when my babies are born (haha), so I cannot wait to see her. I am also so excited to get cleared to work out and to slowly get back into things. That made such a difference in my life once I made that a habit after Eleanor was about 6 months! That’s all for this catchup I think. I feel a little rusty writing these, but I am sure I’ll get back in the swing of things. I am planning to start writing more in the coming months, but I think my relaunch of everything may take a bit longer than I had planned. I’d rather do it really well, though, than rush it! 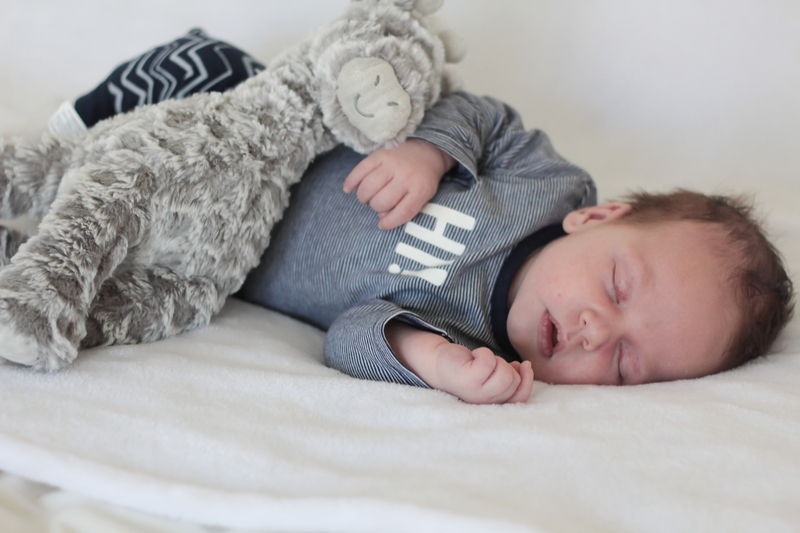 Be on the look out for Otis’s birth story soon!